Scheduling a meeting is painful. You email someone your availability, then you have to wait for them to email back with their own availability. You hope times won’t overlap and cross your fingers that neither party’s availability changes—all to avoid another round of emails. 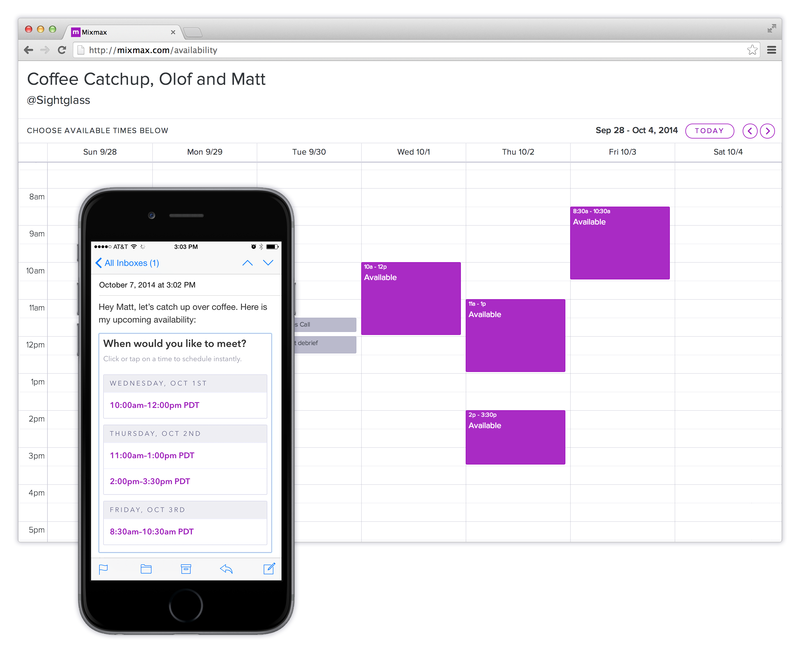 Mixmax Instant Scheduling is a quick and effective way to share your availability and schedule one-on-one meetings. It’s 10x faster and cuts out the back and forth. Your recipient simply picks and confirms a time right in the email, and Mixmax does the rest. 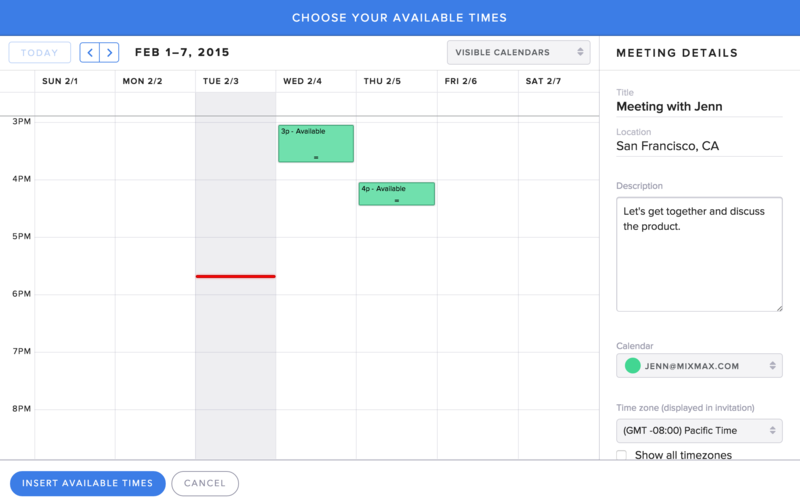 It also integrates seamlessly with your Google Calendar. 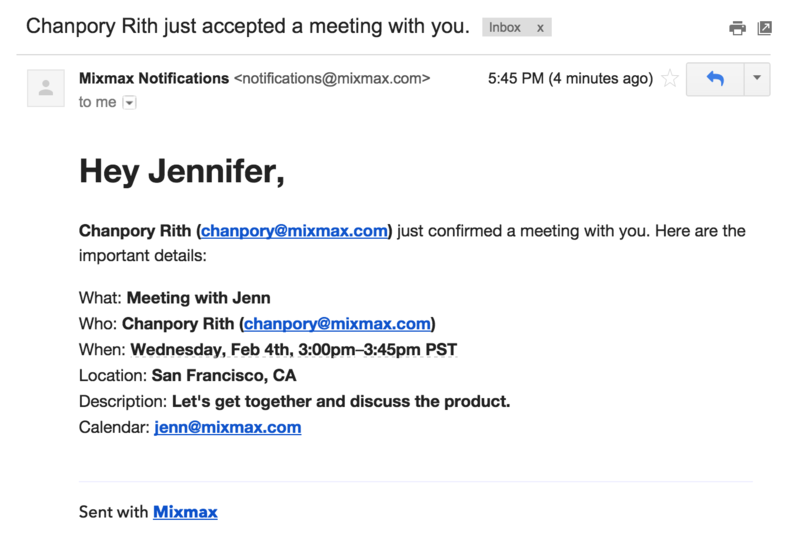 To share your availability in Mixmax, click on the calendar icon at the bottom of your compose window. Alternatively, scroll over the “+” icon in the toolbar. 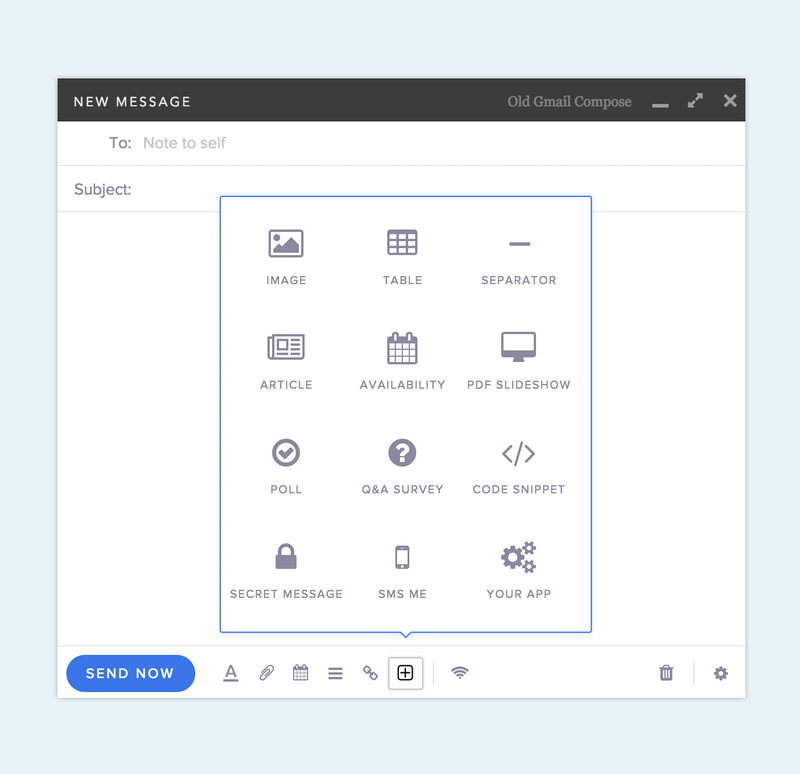 You’ll see a menu of Mixmax Apps which can insert enhanced content into your message. In this menu, select “Availability”. You’ll then see a page where you can to choose times during which you’re available. Just find the times that work for you and click on the calendar. On the right, fill out your meeting details. When you’re done, click “Insert Available Times” and it’ll be added to your email. 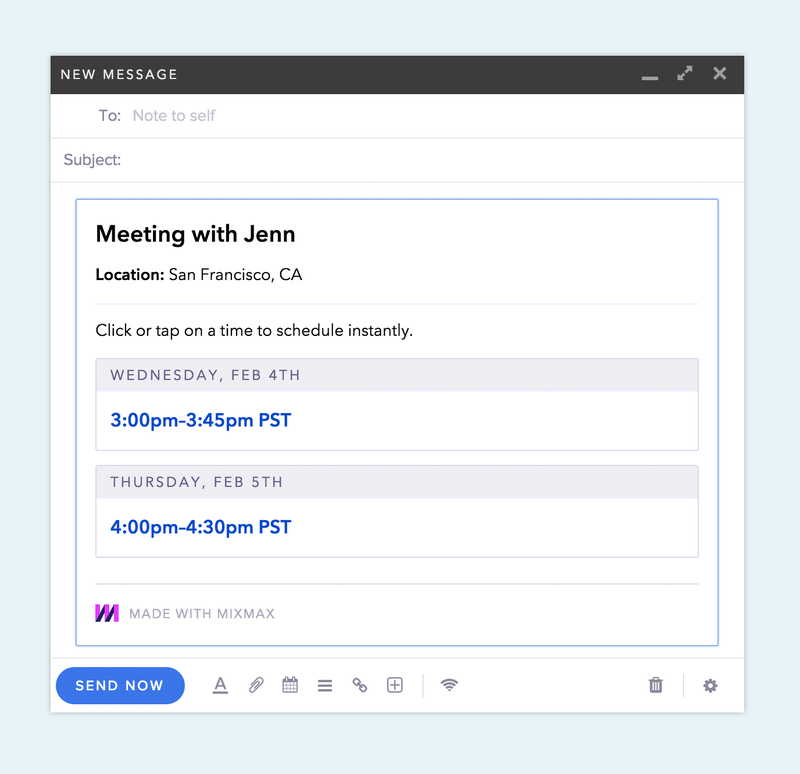 Once the recipient chooses a time, you’ll receive a confirmation email and that time slot will be automatically scheduled for you in Google Calendar. The recipient will also receive a confirmation from Mixmax about the schedule meeting as well as a calendar invite for the meeting. 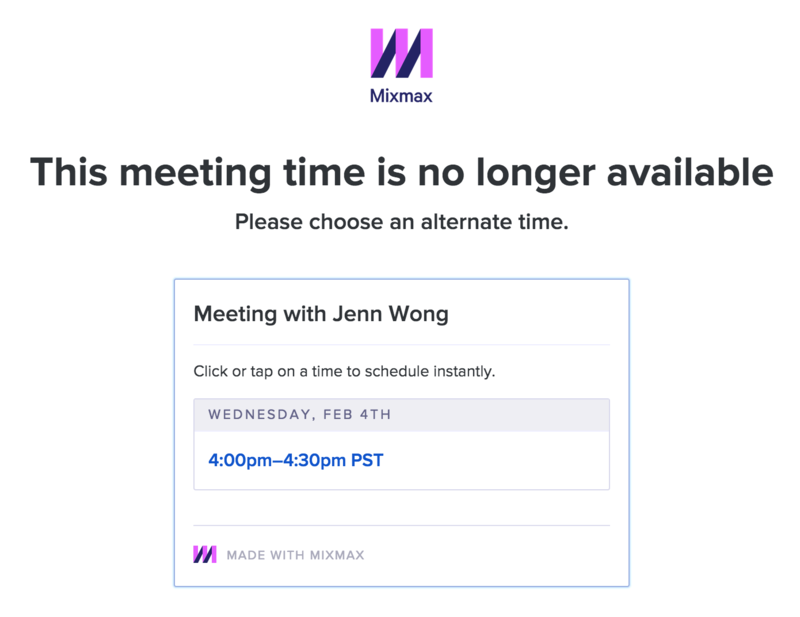 If your recipient attempts to book a time that was already filled by a previous Mixmax Instant Scheduling, Mixmax will alert the recipient and suggest other times to meet. Never worry about double booking with Mixmax. Install for free to try it out right now. 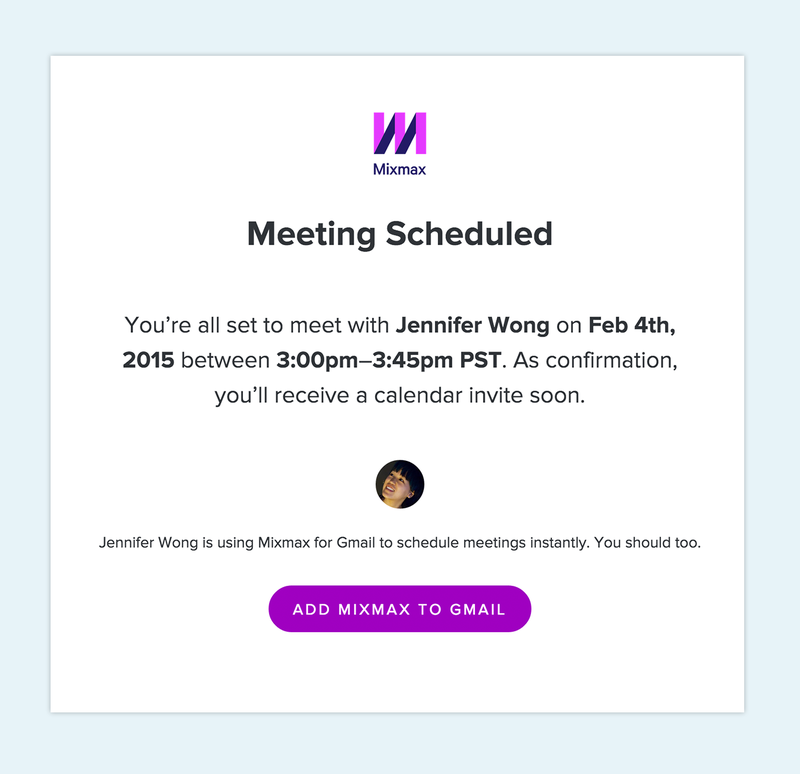 Instant Scheduling is another example of how Mixmax makes email more powerful for professionals. If you have thoughts on how we can boost your productivity or supercharge your email, we’d love to hear from you. Reach out to us at hello@mixmax.com and follow us @Mixmax.